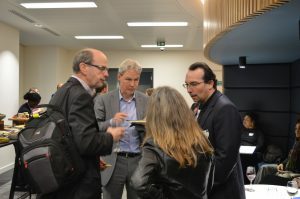 On Wednesday 2 May we launched CERC, the Computing Education Research Centre, which through new research will underpin vital computing teaching in schools and in higher education. 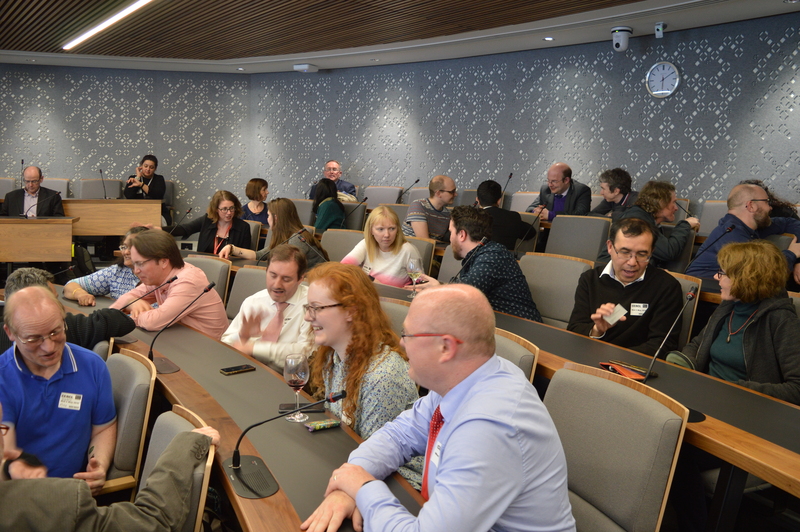 Over 80 researchers, members of the computing and education industries, teachers and students, attended the opening of this interdisciplinary collaboration between King’s researchers from Informatics, Education, Robotics and Digital Humanities. 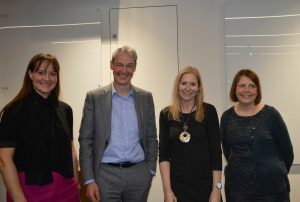 rtments for computing education research, and Professor Kerensa Jennings, who described the Duke of York’s iDEA initiative to people of all ages with digital skills, with a video presentation. Attendees got to experience first-hand a number of teaching techniques and technologies. Professor Paul Curzon from Queen Mary University of London demonstrated CS4FN ‘magic tricks’ used to teach computer science and computational thinking. These are predominantly ‘unplugged’ – teaching computing without a computer. ge is to understand what can be taught using such products and how best to use them to enhance learning. Research projects were also displayed including PRIMM, Greenfoot, Stride and Torino. CERC will undertake research in three inter-connected fields: Programming and Robotics, Digital Equity, Data and Education. The centre is looking to establish funding to advance its research. Members of the team are interested in working with universities, schools, industry and other partners on inter-disciplinary projects. 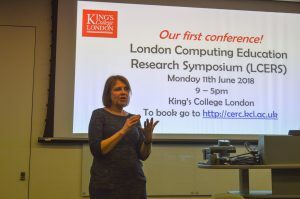 The cent re’s upcoming project is the London Computing Education Research Symposium (LCERS). The theme of this year’s symposium is Computing for All. The conference will take place on the 11th June 2018 at King’s College London. Register here. CERC website: cerc.kcl.ac.uk. Alternatively, drop us an e-mail at cerc@kcl.ac.uk or follow us on Twitter (@cerc_kcl).